Sitting in her hospital bed, leukemia patient Alice Lawrence pauses and places her hands meditatively on the bag of bone marrow she’s about to receive. 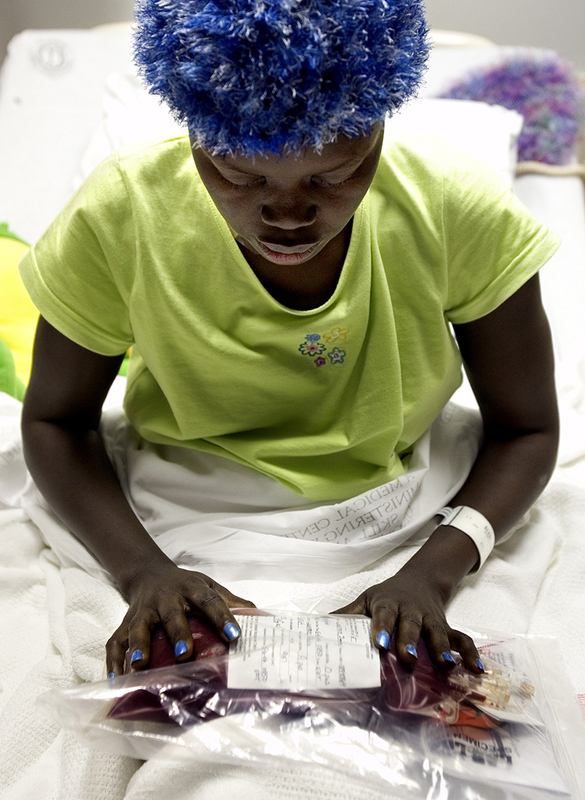 Her brother came to the United States from Sudan to donate the marrow. After navigating international embassies, innumerable tests and massive costs, Alice, a Sudanese refugee, finally has the marrow she needs to save her life.